How important is a single vote? How important is keeping one’s promise? The answers to those questions can be found in the amazing story of Henry Shoemaker, a Hoosier farmer from DeKalb County, Indiana. On the run-up to the recent election, the American public was inundated with TV and newspaper ads touting candidates and stressing the importance of voting. Over the years pundits have cited instances where a handful of votes, or even a single vote, has tipped an election to one side or the other. 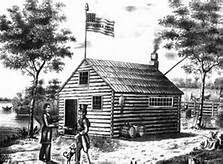 Though many “single vote” anecdotes have been debunked, I recently learned of one in my own state of Indiana that did change an election and, subsequently, the history of North America. Henry Shoemaker was tired that afternoon in 1842. He’d worked all day on a farm. 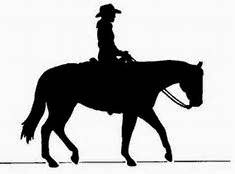 I expect the last thing he wanted to do was to saddle up his horse and ride twelve miles to the polling place at Kendallville, Indiana. But he’d made a promise and a man’s word was his bond. instead of heading home for supper was a promise he’d made months earlier to a man named Madison Marsh, who was running for representative in Indiana’s general assembly. While campaigning, March had stopped at the farm where Henry worked and asked for his vote and Henry had promised to vote for him. After all his trouble, Henry hit a snag when he finally reached the polling place. The polls were about to close and they were out of tickets containing the names of the candidates for whom Henry wanted to vote. Undaunted, Henry used his pen knife to cut out the names of the candidates he wanted to vote for, including that of Madison Marsh, from several tickets supplied by the election inspector. He wrapped them in a piece of paper and dropped his makeshift ballot into the ballot box, then waited for nearly an hour until the polls closed to make sure his vote counted. The vote count between Marsh and his competitor was a 97 to 97 tie without Shoemaker’s unconventional ballot. Shoemaker’s vote was allowed, putting Marsh over the top to win a seat in Indiana’s General Assembly. Before the 17th Amendment, U.S. senators were elected by their state’s General Assembly. Marsh, who won his seat in the General Assembly thanks to Shoemaker’s vote, in turn elected Edward Hannegan to be Indiana’s next U.S. Senator. Four years later, Hannegan cast the deciding vote to go to war with Mexico. 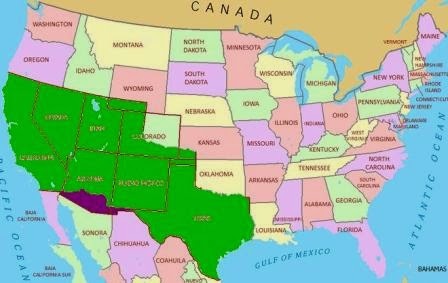 America’s victory in that war added to the country all of the southwestern U.S. states including Texas, California, and New Mexico. How is your wife and how are you? Does this sound familiar? In many regards, campaigning for public office seems to have changed little in the past hundred and thirty some years. 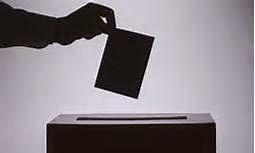 Do you have an anecdote of a single vote that changed the country, or even the world? I’d love to hear it. 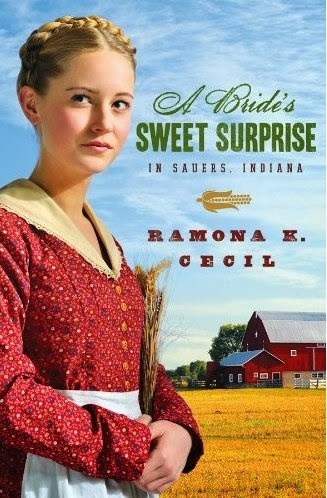 Leave a comment and be entered in a drawing to win a copy of my book A Bride's Sweet Surprise in Sauers, Indiana. I really enjoyed reading this story about the single vote in an election in Indiana. Although I don't have such a story myself, I am a Hoosier now living in Arizona, and I love reading about history from my home state. Thank you! Hi, Teresa! Once a Hoosier, always a Hoosier. :-) I hadn't heard this story myself until recently, and found it fascinating. Thanks for stopping by, and good luck in the drawing! A very interesting story about the election process. Hi, Deanna! LOL LOVE that little poem! What's so funny is it's still so relevant today. Good luck in the drawing! What an interesting, informative post. As a native Californian, I loved learning about Henry Shoemaker and how his vote changed the course of history. Were it not for him, my state might not have become part of these United States. Thanks, Keli! Spanish might be your first language. :-) It is a fascinating story. When we think of all the great contributions to this country that have come out of your state and other southwestern states, old Henry did the country a great service. Thanks for stopping by and good luck in the drawing! Wow, I'd love to hear the story about your husband's relative, Rebecca! The take-away from these kinds of stories is that every vote counts. 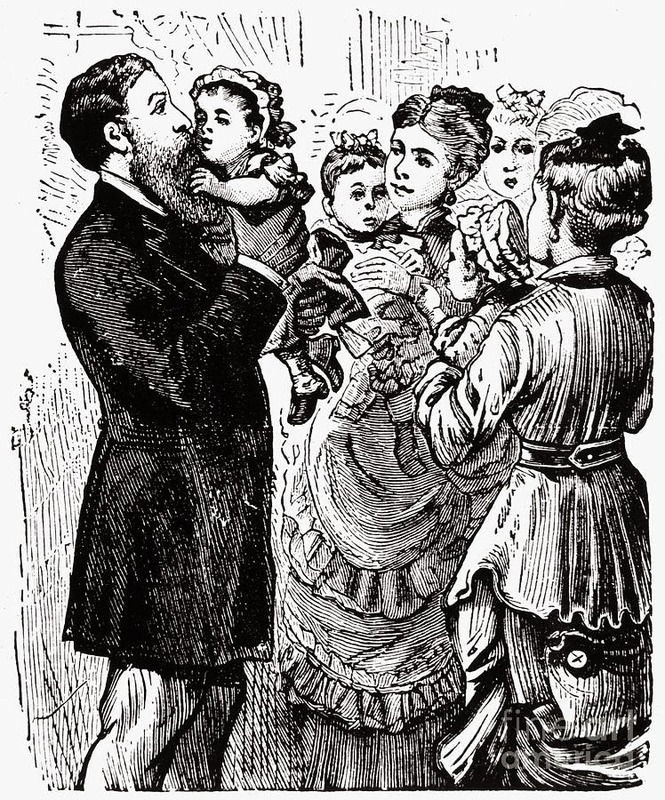 Thanks for stopping by and for the interesting tidbit about your distant relative. Good luck in the drawing! Hi, Ramona! I love this post and look forward to sharing it with my children this afternoon during history. Thank you for sharing Henry Shoemaker's amazing story! Hi, Britney! Glad you liked the story and I'll bet your kids will love it too. :-) Thanks for stopping by and good luck in the drawing! No, I don't have any stories, but please enter me in to win a copy of your book! You're entered, Amy! Thanks for stopping by! :-) Good luck in the drawing! Hi, Amy! Thanks for stopping by! You are entered in the drawing. Good luck! Great post, Ramona! Thank you for sharing! I commented but I don't see it so I'm going to say it again. If it shows two comments just ignore this one. I see I won a copy of your book.. I'm so looking forward to reading it.. thanks so much!